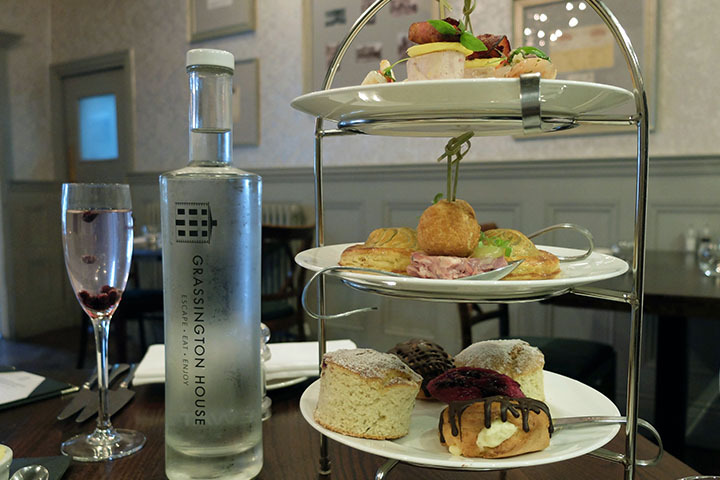 Ahead of National Afternoon Tea Week on 14th August, Grassington House has launched its own Yorkshire twist on Afternoon Tea, a menu that features ‘Nanna’s Pease Pudding’ and a pasty. 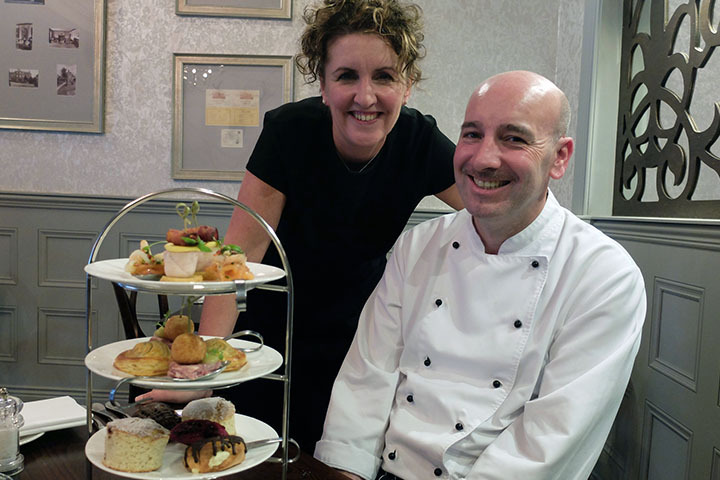 The menu has been created drawing inspiration not just from local produce and neighbouring producers, such as the award-winning The Courtyard Dairy, but also from the story of Sue and John, who bought and relaunched Grassington House ten years ago next year. The focus is on homemade and handcrafted produce; the restaurant has been churning its own butter for the past year, chefs scour the hedgerows for berries and a recently installed smokehouse is where John and the team now smoke their own fish. Pease Pudding is a traditional dish from the North East, and John’s nan, hailing from Durham, would make him this as a child. It includes soaked yellow split peas, which are drained and mashed with butter into a ham shank terrine. The bite-size version is full of flavour, as is the small Rag Pudding, a lush braised beef skirt pasty with puff pastry, and a dish that John created for Sue, and for which he previously won Chef of the Year competition. The Happy Cake has also been inspired by Sue, as she regularly buys versions of these for her staff, which with their creamy, chocolatey taste, can only make them happy. It is made from crème pate and chocolate ganache in a choux pastry. 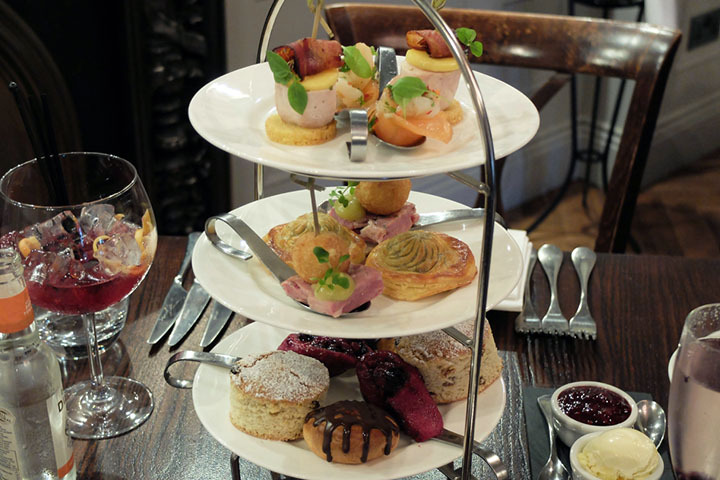 Another highlight are the scones, served warm, and made with the buttermilk churned from the House’s own fresh butter.